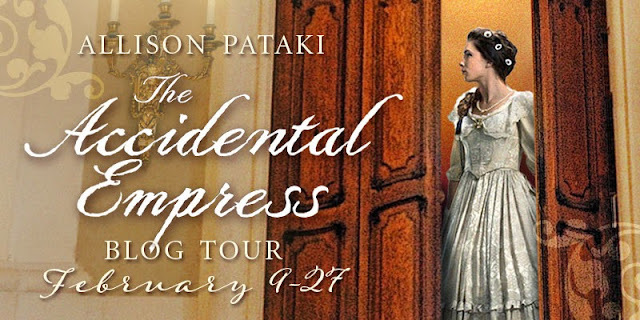 I am thrilled to be a stop on the book tour for The Accidental Empress by Allison Pataki hosted by Kismet Book Touring! I have a review and author interview for your reading pleasure. For more goodies, be sure to check out the rest of the tour schedule below, or by clicking the banner above. I am a historical fiction nut. I love reading stories about the past and imagine how different the characters lives are from today. I'm even more obsessed with historical fiction novels that are based off real people. While I know they're fictional stories, knowing that they're based off fact - and what is real and what the author taking liberties on - is completely fascinating. Typically after reading a fictional novel based off real individuals, I try to read more about this. I don't always follow through in that because sometimes Wikipedia is enough, but in the case of Sisi and Franz, I must know more! Sisi accompanies her sister, Helene, and their mother, Ludovika, to the Austrian court where Helene will be reunited with her cousin Franz, who has recently become her betrothed. Helene has no desire to become Empress of Austria, which ends up working well when Sisi and Franz fall madly in love - changing Sisi's life forever. Allison starts Sisi's story in July 1853 (age 16) and ends it in June 1867 (age 30) - we spend 14 years with Sisi and I cannot fathom the things she goes through. Sisi doesn't start the story as a particularly strong individual, and given her circumstances I'm included to give her a bit of slack, there were times I wanted to shake her to stand up for herself and her wants/needs. I had to remind myself of the times and that Sisi was merely a teenager (she marries Franz when she is 16, has her first child at 17) and is living a completely different and unexpected life than she had anticipated. Thankfully, she eventually finds her voice and begins to speak up. Franz on the other hand . . . I can't stay I am a fan of Franz *cough*mama's boy*cough*. I know he had an empire to rule and he did not want to be in the middle of his wife and his mother, but come on man! Grow a pair when it comes to the women in your life! Stand up for your wife! Allison has this wonderful talent to put her readers into these characters lives. We are not merely watching the events of Sisi's life unfold, we are there along side her. We are there when she marries Franz, when she has her first child, when her mother-in-law needs slapped in the face (which unfortunately doesn't happen), and when she finally stands up for herself (there might have been clapping on my part). We are part of the imperial Hapsburg court, we are traveling the country side and we change residences with the change of the seasons, we are visiting Hungary and falling in love its beauty. I absolutely love The Accidental Empress. The narration is flawless, the descriptions beautifully written, and the characters true to real life. Allison clearly went above and beyond in her research of this woman's life and gives her readers just a taste of what Sisi had gone through. If you're a fan of historical fiction/romance, especially of those based on real historical figures, this is definitely not a novel you are going to want to pass up. And I promise you it does not read like a 512 page novel - you will be so sucked into the story that you're not going to want to put it down! Thank you for having me back to Bookish! The biggest difference I would identify is that Peggy Shippen Arnold was situated wholly within American history. 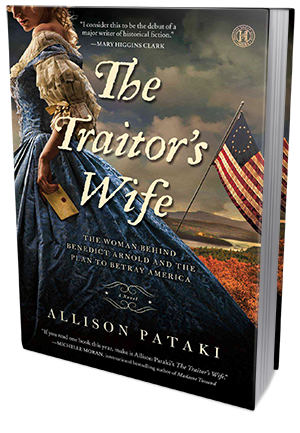 The Traitor’s Wife is a story that unfolds during our American Revolutionary War, while Sisi is a European leading lady and her story plays out in Austria, Hungary, and elsewhere. More on that in just a little bit! Another key difference is that Peggy Shippen Arnold is more of an anti-heroine, while Sisi is a protagonist for whom we root. She’s a woman with whom we can relate and empathize. We may love to watch her do her thing, but we are not rooting for Peggy to end the American Revolution! As divergent as their historical settings may be, both of my novels result from a personal connection that I had to the history of each. That is the key for me—that personal connection is what makes me so impassioned to tell that particular story of that particular woman from history. In my first novel, The Traitor’s Wife, Peggy plotted with her husband Benedict Arnold to turn West Point Fort over to the British during the American Revolution, and she very nearly succeeded. Had Peggy and Benedict Arnold achieved their treasonous purposes, they would have ended the war and the hope of American independence. For me, this story was close to home, quite literally, because I grew up across the river from West Point. As a child I played in Benedict and Peggy Arnold’s one-time yard. I knew the land and the history and I felt theirs was a story worthy of being told to a broader audience in a historical fiction novel. And with Sisi and The Accidental Empress, it was a similar process of finding the inspiration in what I already knew. I am of Hungarian-American descent. I am very involved in the Hungarian community in the U.S., and I co-founded the Hungarian birthright program called ‘ReConnect Hungary.’ I’ve traveled to Hungary with my family throughout the years, and I always came across the striking images of Sisi. I always wondered what her story was. So I began to do my research. Ah, research, that’s probably the biggest point in common between the two books! What was so interesting to me about Sisi was how the Hungarians—still to this day—venerate her and adore her. She is their Princess Diana, but on an even larger scale. Knowing what I knew about my family and that the Hungarians did not ever like their Habsburg rulers (they didn’t appreciate being a part of the Austrian Empire, the Hungarians always thought of themselves as distinct from their Habsburg emperors), I was stunned by all of the ways that the Hungarians still embrace Sisi, almost worship her. I found out that Sisi and her husband, Emperor Franz Joseph, were the only Habsburgs that my Hungarian relatives ever loved. That was intriguing. Why Sisi, I asked? As I began to dig into her story I realized that her life was even more dramatic that anything I had imagined. In both Peggy’s and Sisi’s case, history is juicier than fiction. They both made for such compelling leading ladies in a novel! The synopsis describes this as "the little-known and tumultuous love story of Sisi, the Austro-Hungarian Empress and captivating wife of Emperor Franz Joseph." I'll admit that I hadn't heard of these two prior to your novel, so I'm even more intrigued. What made you decide to write a fictional piece on these two instead of a more well-known love story? As readers of Historical Fiction, we know all about Anne Boleyn and Marie Antoinette, and the Russians Tsarinas and the Italian families like the Medici, but there has been almost no exploration of the Habsburgs. And yet, they were the most interesting royal family of them all! That’s why I hope readers will be as excited to learn their story as I am to share it. I touched on this a bit above, but the way I came upon the story and history of Sisi was through doing some research into my own personal history. Years ago I was on a family trip to Hungary to visit our relatives and the place from where the Patakis had emigrated. On that trip we also visited Austria and the Czech Republic – these are all of the lands of the former Habsburg Empire. Empress Sisi’s old kingdom. Well, as we made this trip, I kept seeing these striking images of the same beautiful young woman. She had this quizzical smile, this rich chestnut hair curled in these elaborate hairdos. I saw her face at every gift shop, museum, even in restaurants and hotels. I asked someone who she was and the response was that she was “Sisi,” the most beloved Habsburg Empress. I heard just a bit about Sisi’s epic and tragic life—about the legends that she grew her hair to the floor; that she was considered the most beautiful woman in the world; that every other foreign ruler at the time was in love with her. I sensed that she was a combination of Princess Diana meets Marie Antoinette meets Catherine the Great and so much more. I read about how Sisi didn’t mean to seduce her sister’s fiancé the emperor, but did, at the age of 15. Just enough to whet my appetite! I went home and dug in, reading everything I could about Sisi’s story; what I found astounded me. Hers is a story of love triangles, love, lust, betrayal, and so much more. It’s an incredibly human story, told against the glittering backdrop of the Habsburg Court. In Sisi’s case, history is even juicier than any fiction I could have dreamed up. 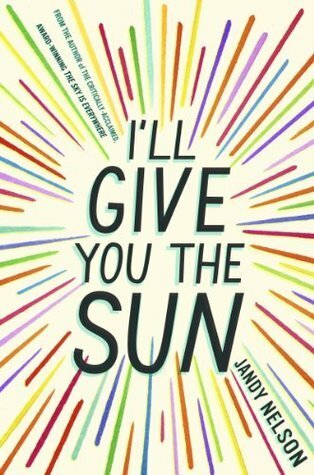 I was hooked—and I hope readers will be, as well. 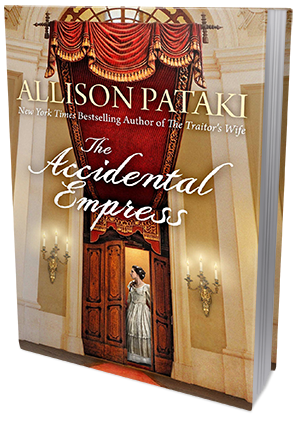 I decided early on that I would be crazy not to rely heavily on the historical record for plot and character development in The Accidental Empress. The raw material—a love triangle! An empire divided! An incredibly overbearing mother-in-law! Infidelity! Waltzes!—it was all so good and intriguing. I believed that the history of Sisi’s life and time period provided all of the fixings to create a really compelling novel. But as this is a novel and not a biography, I had the creative space to pull not only from the proven facts, but from the mythology and reports as well. Sisi was a figure of mythological fascination even in her own lifetime. The centuries that have passed since her death have only served to make her even larger in the collective imagination. When writing a novel, the story must flow and unfold in a manner completely different than that of a textbook or a straight biography. I am not looking to list an infinite number of facts. I have to choose what I need to tell my fictionalized version of this story, and I can get a bit creative. It makes it so fun to write. And, hopefully, fun to read as well! Sisi. Each character in this Habsburg saga was a blast to bring to life, but Sisi had me absolutely enchanted. Much like she had them all enchanted in her own lifetime! There is no end to the layers of her charismatic and multi-layered personality. She was truly an original. Being a lover/writer of historical fiction, if you could time travel, where would you go? Who would you meet? Why this time/place/person? That is the toughest question of all—I’d want to make many stops! Tudor England, Bourbon France, George Washington’s early United States…. But if I’m picking just one, I think I would pick the time period to which I “traveled” in this novel—the Habsburg Court in the golden age of Empress Sisi and Emperor Franz Joseph. I’d have to get a really lavish ball gown and brush up on my waltzing skills. I'm addicted to . . . Yoga, coffee, sunshine, traveling, and chocolate ice cream. If I could tell the world just one thing, it'd be . . . We should each do one good deed for another person every single day. The last book I bought was . . . The Boys in the Boat by Daniel Brown. Loved it. A riveting historical novel about Peggy Shippen Arnold, the cunning wife of Benedict Arnold and mastermind behind America's most infamous act of treason . . .
Everyone knows Benedict Arnold--the Revolutionary War general who betrayed America and fled to the British--as history's most notorious turncoat. Many know Arnold's co-conspirator, Major John Andre, who was apprehended with Arnold's documents in his boots and hanged at the orders of General George Washington. But few know of the integral third character in the plot: a charming young woman who not only contributed to the betrayal but orchestrated it. Socialite Peggy Shippen is half Benedict Arnold's age when she seduces the war hero during his stint as military commander of Philadelphia. Blinded by his young bride's beauty and wit, Arnold does not realize that she harbors a secret: loyalty to the British. Nor does he know that she hides a past romance with the handsome British spy John Andre. Peggy watches as her husband, crippled from battle wounds and in debt from years of service to the colonies, grows ever more disillusioned with his hero, Washington, and the American cause. Together with her former love and her disaffected husband, Peggy hatches the plot to deliver West Point to the British and, in exchange, win fame and fortune for herself and Arnold. Told from the perspective of Peggy's maid, whose faith in the new nation inspires her to intervene in her mistress's affairs even when it could cost her everything, The Traitor's Wife brings these infamous figures to life, illuminating the sordid details and the love triangle that nearly destroyed the American fight for freedom." Thanks to Allison Pataki and Simon & Schuster, one lucky winner will receive a $120 gift card to the ebook retailer of their choice (Amazon/B&N/iTunes)!